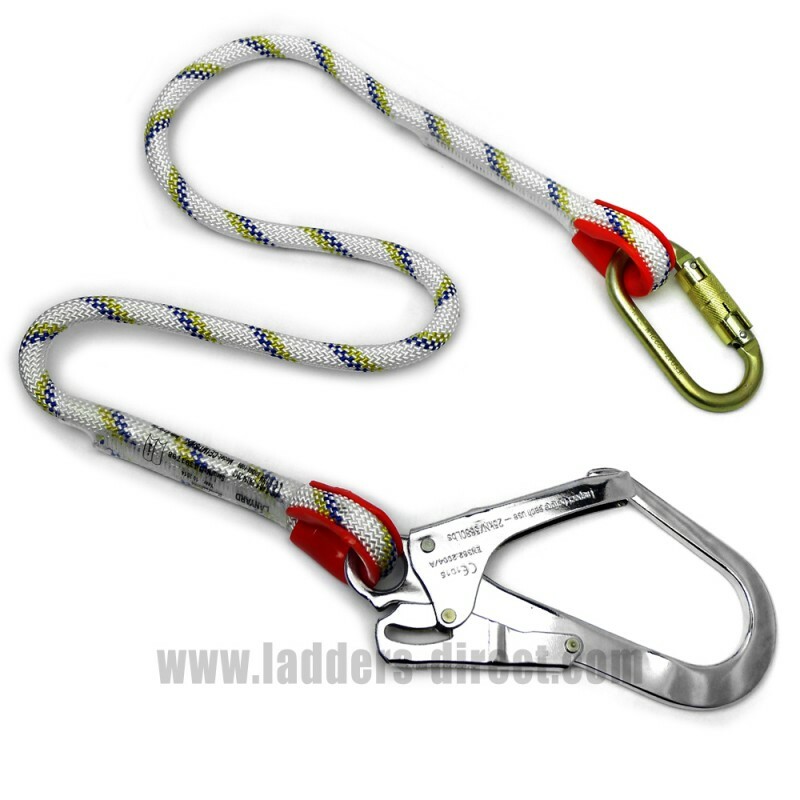 1m Rope Lanyard with large snap hook and carabiner, part of fall arrest systems when used with energy absorber and PPE Safety Harness. Work positioning lanyard when used with a PPE Safety Harness. 1m Rope Lanyard with large snap hook and carabiner, part of fall arrest systems when used with energy absorber and PPE Safety Harness. Work positioning lanyard when used with a PPE Safety Harness. Certified to European Standards EN354, EN362.